Like travelling back to the time when Moses was given the stone with the Ten Commandments, when we talk about the rituals associated with cigars there is an etiquette which should prevail amongst aficionados. If we follow this Decalogue, indulgence will be 100% assured. Love your cigar above all things. We live in a world where everything happens too quickly, so is crucial to find a peaceful moment to stop and enjoy the best cigar in the world while reflecting on our daily affairs. Respect all the steps. Practices which should be avoided on the process are: cutting the cap in excess to prevent tearing the wrapper; tapping the cigar to get rid of the ashes or smoke it too fast, as it will overheat and taste bitter. Remember the Sabbath day. What could be better than making a cigar the centrepiece of your celebrations? Those cherished festivities deserve the best, like a perfect pairing which will contribute to create unforgettable snapshots for your photo album. Honour the cigar. A correct storage is one of the keys to emphasise and even improve the cigar’s personality. The only valid place to store them is in the humidor. Do not smash a cigar. Good things deserve a happy ending. Following this principle, it is more honourable to leave the cigar to slowly extinguish itself instead of squashing it against the ashtray. Do not give lessons on how to enjoy a cigar. Each of us has personal tastes and habits. Daily routines are already governed by enough rules, this is why in KOLUMBUS we like to enjoy a “live and let live” attitude. You shall not idolize false believes. We should not succumb to the temptation of mythologizing certain attitudes and customs which are incorrect and which will only ruin the experience. You may not covet anyone’s cigar. Sharing is one of life’s most beautiful acts, but in this case, cutting a cigar in two is a very bad idea as the tobacco blend is never symmetrical or homogeneous. Do not steal your neighbour’s cigar. The cigar aficionado should always project an impeccable image of himself and towards others. Although we might share the hedonistic lifestyle of charming baddies like Tony Montana in Scarface, his misdeeds are a different kettle of fish. You won’t allow impure fire. The flame with which we light our cigar must not come from sources like candles, as they contain flavours and impurities which will pollute the cigar’s essence. Hilarious! 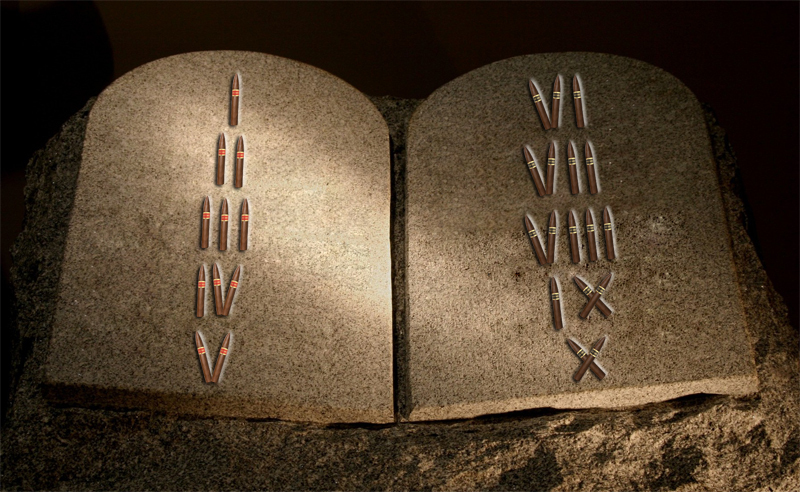 Great post and of course… I will follow these 10 Commandments! !